When I moved to Chesapeake country more than a dozen years ago, my first trips were for panfish. I quickly found out that I had to adapt many of my time-tested panfishing techniques to the unique challenges brought on by the additional elements of salinity and tides. I’ve learned a lot, some by trial and error, and some from the advice of seasoned anglers who share my life-long panfish fascination. 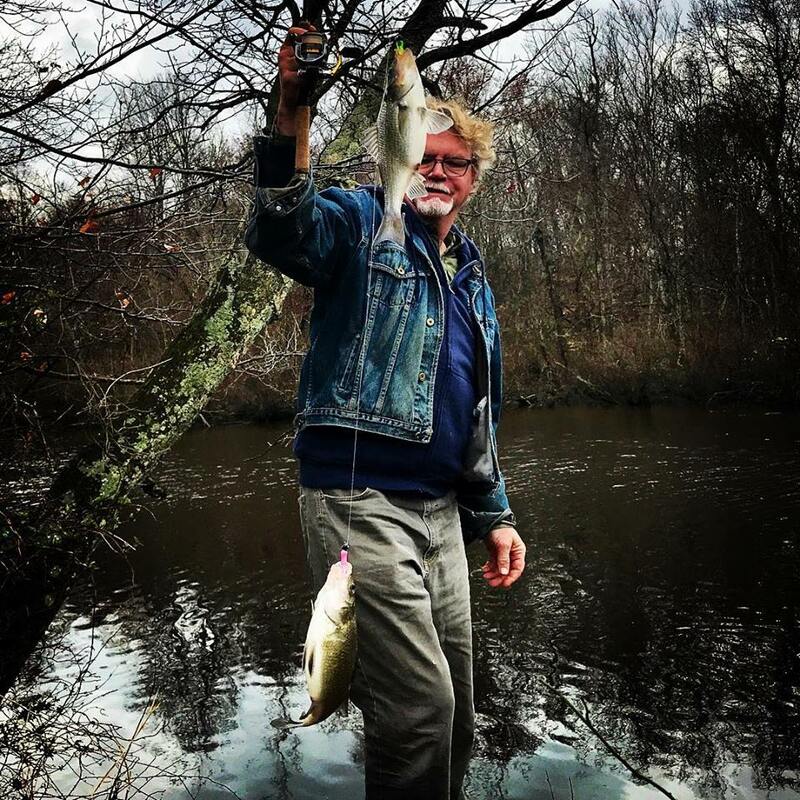 Once I started hanging out along the creeks and rivers, I met men and women who have spent decades honing their skills in the tidal streams of the Chesapeake. Often, I’ve had to step back and realize that I’m overthinking my techniques. When it comes to panfish, simpler isn’t always better, but most of the time, it is! Panfish are great equalizers. They aren’t picky about social class or fortune. They make it just as easy to take home a limit by fishing from the river banks as by casting from a boat or kayak. Panfish can set a novice to bragging like a crackerjack just as easily as they can reduce a savvy pro to whining like a rookie. I love to eat them too! I’ll take a plate of battered and crisply fried perch over a toxin-laden rockfish filet any day. I’m a strong proponent of catch and release fishing, especially when it pertains to potentially imperiled species like striped bass. But you won’t see me throwing back too many perch or crappie. I typically release the biggest spawners, but it doesn’t bother my conscience one bit to enjoy a big plate of fried panfish. Most of the panfish species in the Chesapeake region are prolific and they usually aren’t threatened. 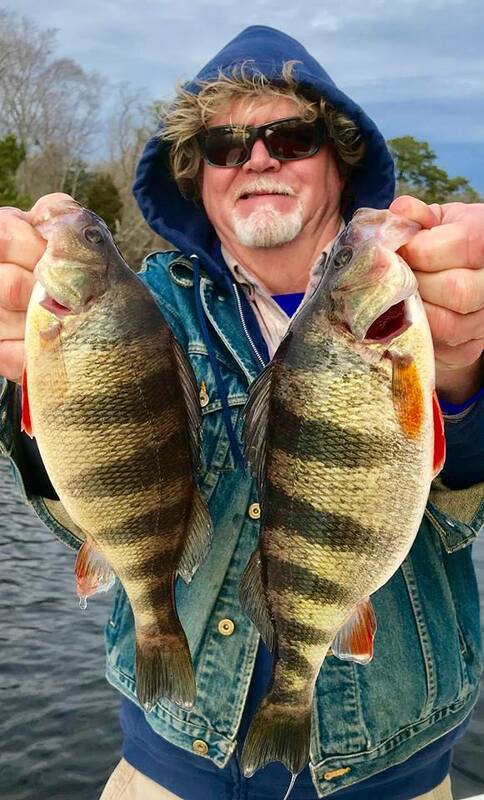 While I won’t hop on the “take-all-you-want, they’ll-make-more” bandwagon, there is absolutely no harm in occasionally keeping a mess of delicious perch, crappie, or bluegill. In fact, eating panfish is one of my life-long pleasures. Long before it became a trend, bringing home and frying up a mess of panfish has been the perfect example of eating locally and sustainably. I’ll have a lot more to report about my low-key and extremely enjoyable winter of panfish passion, but for now, I’ll just say, “go!” Striper fishing has started, and by all accounts catching is tough this trophy season. When a few fish show up, there’s usually way too many boats around. The competition is tough, good manners are low, and stress is high. On the other hand, it’s very quiet back in the tidal streams. 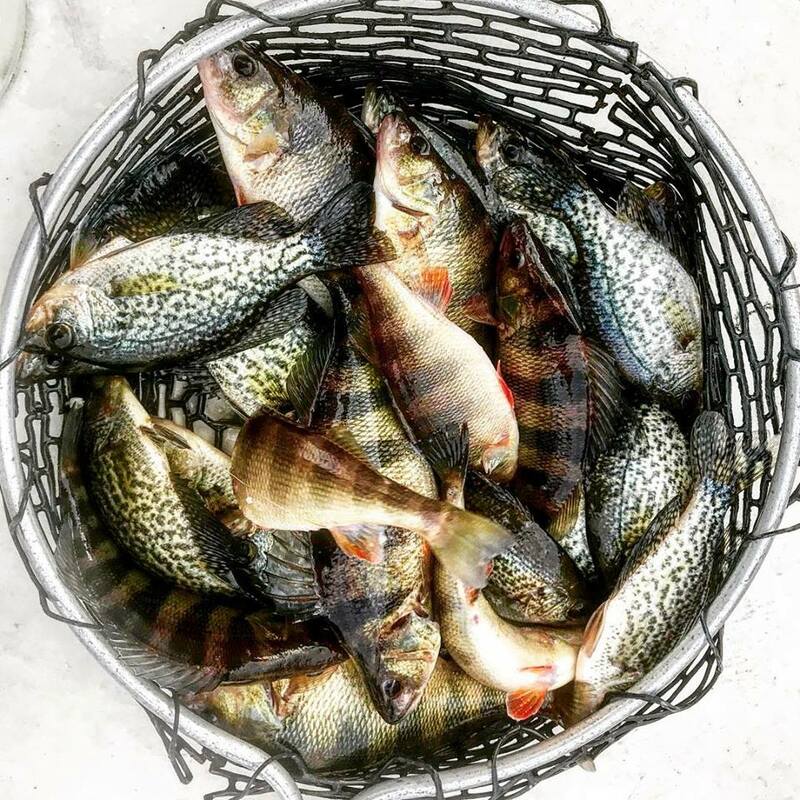 The perch, crappie, and shad bite is still red hot. Take my advice, mix it up a little bit. Spend some time in the creek. Tune out the world, and tune in to your panfish lures. It doesn’t have to be for an entire winter, a few minutes are all you need. So, even if it’s only for a little while, quit rockfish! Yes! I’m really enjoying your Facebook fishing reports from the creeks. Great fun! Thanks, Lewis. Facebook makes it very easy to post fishing pictures and say a few words about them. It’s a love/hate thing for me. Once again this was an enjoyable read and timely too! Thanks for sharing. We did just that last week with a seven species day. Probably the most pleasent, pure fun trips this year. You’ve always been a great example to me about diversifying you fishing, Joe. Thanks! I have come “full circle” in my 50+ years of fishing. I started with pond bluegills, moved on to Bass, became a fly fishing fanatic, then Trout, and finally, salt water fish. Even done some work as a first mate on a charter boat. Not for everybody, but it is an interesting experience, teaching less experienced clients how to fish. Now, I’m just as happy sitting in a canoe, perch fishing some tidal creek, or prowling a local pond for a bass or two. Thanks for bringing back some happy thoughts. Great thoughts, Stu. Nothing beats a lifetime of fishing and sounds like you’ve enjoyed yours! Lewis Lagowitz says:, thanks so much for the post.Really thank you! Keep writing. 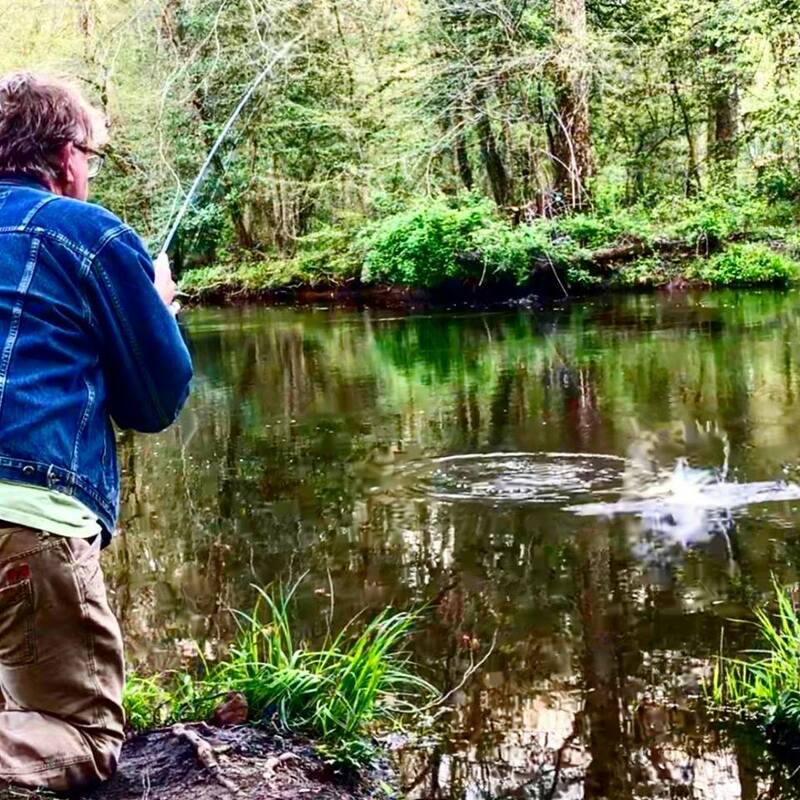 Hey man – fished for my first time ever last week for shad. It was a blast. I think we all get caught up from time to time on rockfish. I need to lay off them and go after some blues & spanish this summer as well. Shawn, I just finished your second book. I can’t tell you how excited I am to get out there and put the information I have learned to use. I moved to Maryland about three years ago. I fell in love with Striper fishing. I would also like to thank you for all you do and for inspiring me to preserve our fishery for generations to come. Well written. Since coming here a little over a year ago I have never understood the desire to consume “toxic-laden Rockfish”. The Chesapeake Bay is one of nature’s gifts to fisherman and by diversifying the target species we could be helping preserve the fishery. There are still times I yearn for the majestic beauty and simplicity of the fishing the Highland reservoirs of TN so I am looking forward to your third book to show us how to recapture some of that.